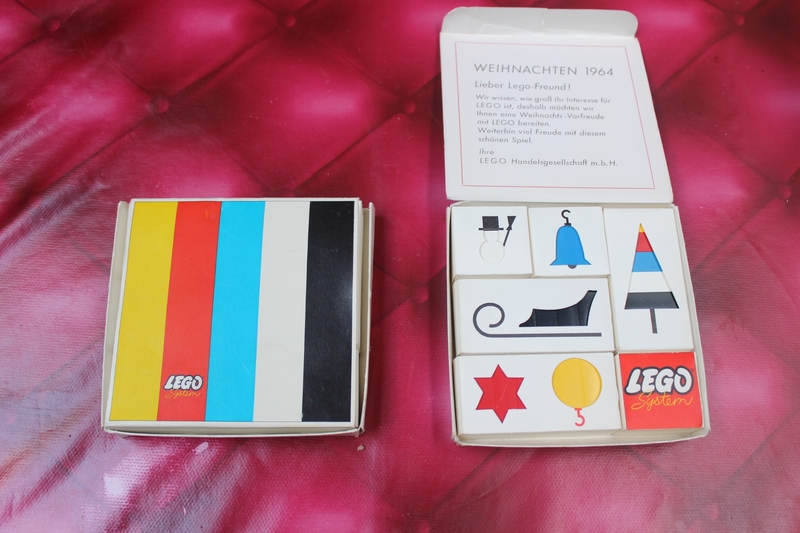 I'm sure my mother's hallucinating on this one, but she INSISTS that when the family was in Europe in the Sixties ('63-'65 Hahn AB, Germany/'65-'66 NATO Chateauroux, France) she saw a German-exclusive LEGO advent calendar with German-tradition holiday symbols like Kris Kringle rather than American Santa Claus, and squawks incessantly at me every time I have a contact over there about "ask them to find this for me." Does anyone know anything about this, or have a contact at Billund who might be able to check with the Archives, or am I right that she's just had too much secondhand pot smoke in her youth? Shown... outer box and inner boxes.... from my Unofficial LEGO Sets/Parts Collectors Guide. @Istokg - all your posts are such informative gems! Thanks for all your input!